A few weeks ago we wrote about being Ofsted registered and what to expect if you are visited for an inspection. If you haven’t yet had chance to read that one, you can do so here. If you are registered with Ofsted one of the things you are required is a first aid kit. 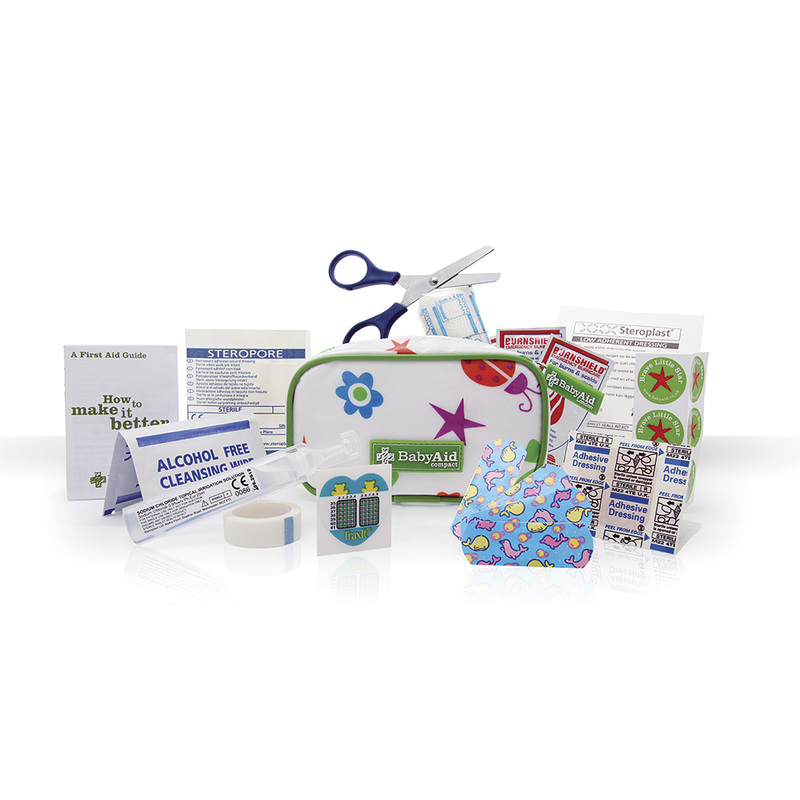 Of course the most important thing is to make sure items in the first aid kit are in date and replenished when used. (Potentially this could catch you out). You can buy refill items for your Babyaid first aid kit from the website. Even if you’re not Ofsted registered, for Mums and Dads out there, it is of course a great idea to have a First Aid Kit at home anyway / in your bag. This is one that we would recommend. 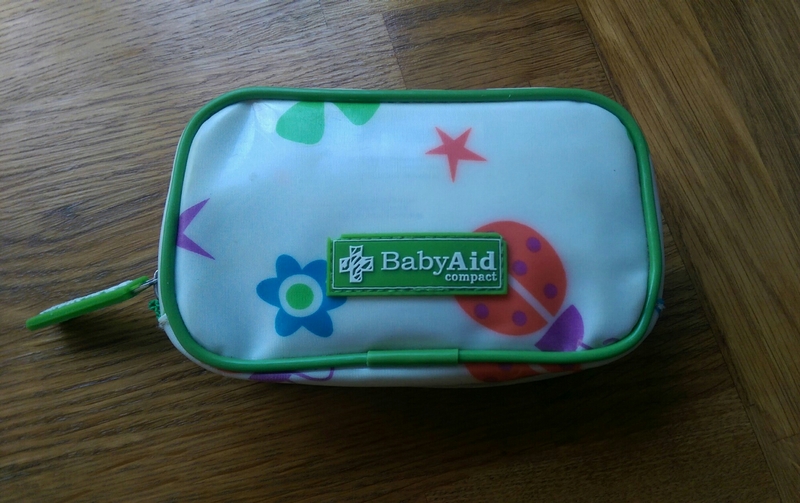 This Babyaid Compact is a great handy first aid kit to have. It has all the basic items you may need. Including: burnshield gel sachets, low adherent dressing, conforming bandage, microporous tape, assorted plasters, disposable thermometers, alcohol free cleansing wipes, blunt tip scissors, and eye & wound wash. As well as a ‘how to make it better‘ first aid guide and some bravery stickers – a very cute addition. It all comes in a lovely little case, which is compact as the name suggests. Small enough to fit in any nappy bag or large handbag. Personally we keep this first aid kit in the buggy its been perfect for any small bumps or cuts that have occurred with the children. More often than not its me that uses the first aid kit for small kitchen burns or cuts. Over all I have been very pleased with this product. On the High Street & you will find JoJo Maman Bébé stocks the babyaid kits. Priced at £16.00 it’s a great starter kit.